A lot of people presented with a blank page are familiar with this question. But, let’s for just a moment imagine that the answer is yes. There is nothing new under the sun, all is vanity, and the Simpsons have in fact already done it, twice. Well, writers would be out of a job wouldn’t they? In fact most professions that rise above agriculture and maintenance would be rendered moot. In short art, philosophy, and a good deal of science would simply die. Well…Would they? I think not. And I think that’s a beautiful thing. Perhaps even the most beautiful and profound thing about existence. There is an art all its own in worthy repetition. At its heart it is about comprehension and appreciation. Therein lies its beauty. Therein the solution to Solomon’s eternal ennui. What is the end of mankind but to perceive and enjoy that which is? One needs no faith to appreciate this. It is a truth whose digestion is easy for skeptic and cleric alike. The fact is, that which is, recurs. Not in exact facsimile but the general patterns are there, with enough fidelity to brand as recurrence. So recur the things that must be said. Yet their flavor changes. Because those who say it are new. They are new parts assembled from the old, and in reciprocal fashion, these assemble old parts from the new. What a thing it is! So there is no such thing as a bold new frontier. For what is a frontier, but a thing so ancient, as to be untouched by the novel foot called man? Yes there is but one art. One sacred art. The art of cultivation. The tending of an eternal garden whose fruits, trees, and flowers blossom of their own accord. This is the art of Eden. What manifold blossoms what manifold ways! You can sing, you can write, you can etch. You can love and you can direct. Perhaps it was God’s end to make mankind because Godhood is over-rated. Perhaps there is a Hell and it is called Completeness. What Good would a Good Lord be if He doomed His creatures to such a Fate from the outset? The art of worthy repetition occurred to me today when I came across a rendering of the thoughts of Francis Bacon. The thing occurred as I am rereading the springboard for my current project, E.O. Wilson’s Consilience, The Unity of Knowledge. ‘Look at that!’ I said. That is precisely what I’ve been meaning to say and it was said so well four hundred years ago! What business have I prattling on? Dejection creeped upon me. Till I realized: If I’ve just had my thoughts echoed from a distance of four centuries… why not become an echo? What an altogether compact and lovely way to say everything that I have said above! Yet, Bacon said much more that I have wished to say, and will echo here today. He saw the importance of psychology. Saw it as being of utmost use for effective science and creativity. Even though the word had not been codified, he understood the value for getting a grasp on the mechanisms of mind. This is precisely what I have been stressing, and meaning to stress better, by positing that the first and foremost of lenses is perception itself. One that must be polished and studied with more caution than any other science. 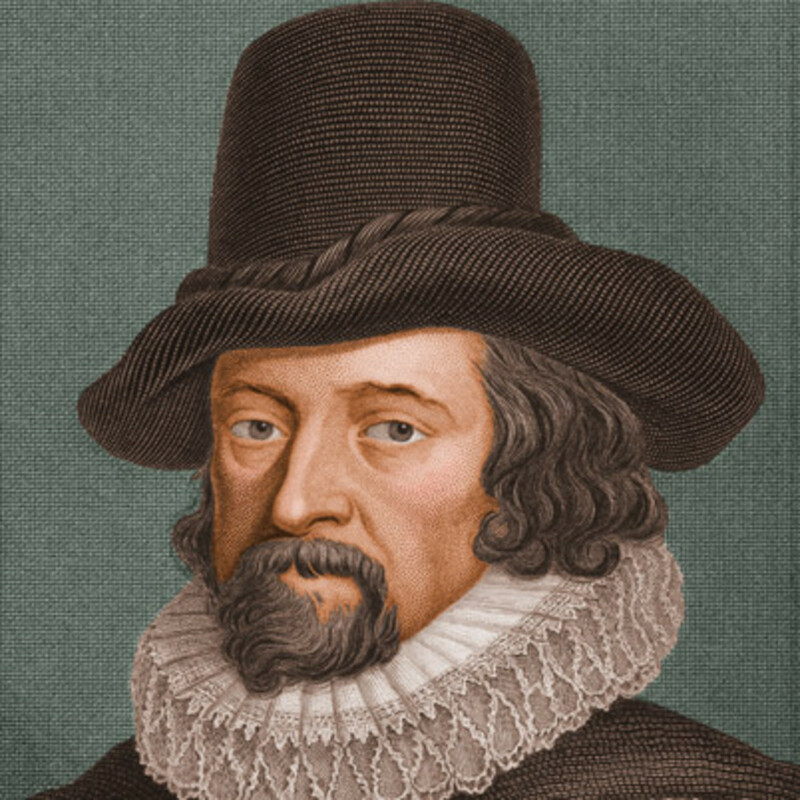 Sir Francis Bacon also cautioned of the ‘idols of the mind.’ My, what a way to warn against those perils which have so vexed me to espy ahead, behind, and all around. What a fitting term is ‘idol’ for this idolatry! For taking living truths and turning them into wooden follies. The second is the idol of the cave, which is subjectivity. Personal prejudice falsely enshrined as objectivity. The third is the idol of the marketplace, or of a marketers ability to sell a fantasy, through persuasion. The fourth idol, and the one that I believe to be most dangerous of all today, is the idol of the theater! It is the most dangerous because the manufacturing of consent, and every other thing, is today done largely through entertainment; whether consciously or unconsciously. Our attitudes and beliefs, are molded by engaging all our senses in films, television and radio programs, and much else in the world of multimedia. We must be therefore sharply on guard, for what follies we may have unwittingly taken on board. For in such a world, such harboring of error, is exceedingly easy and common. Broad is the way, BROADWAY, to destruction indeed! I am very glad to have stumbled upon Wilson’s book. An event that is now three years old. I am very glad that I have had the good sense to remember the book, to use it as a springboard, and most of all to give it a second reading. Yes, the repetition was as sweet as the first taste. I am glad to have heard that echo of Bacon, echoed by Wilson, and to echo it in turn. This is how we must garden. For truly, we are all but gardeners, upon the terraces of an eternal Eden.